Nothing draws attention to the name of your business or organization like seeing it in big, glowing lights. Customers will immediately see who you are, and what you do. Whether you want to display frequent updates, or one bright and constant message, an LED sign broadcasts 24 hours a day, seven days a week. 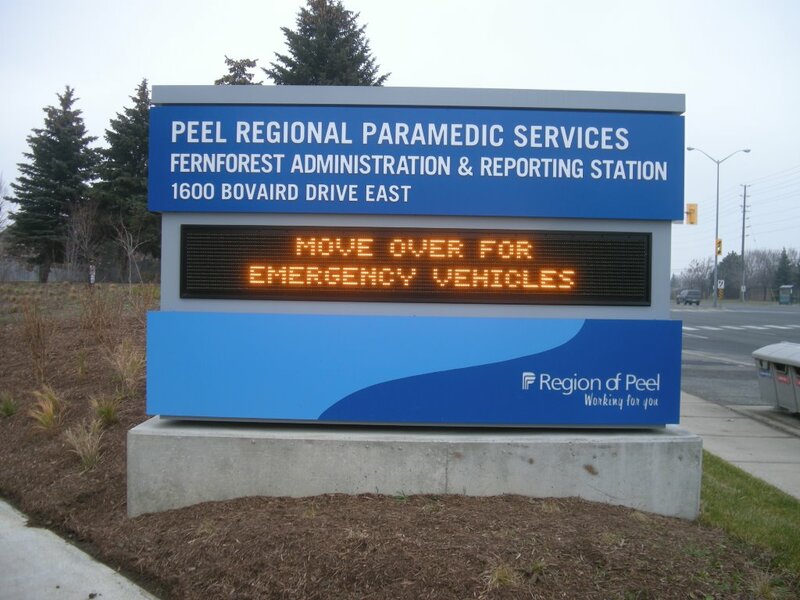 At New Style Signs, we create customized LED signs in Mississauga. We can integrate this product into your building’s architecture, as well as the current interior and exterior signage. We manufacture single and double-sided signs that we can mount on a freestanding pylon, or install in a sign box. The options are endless! We offer a distinct collection of LED signs to our customers, and our signage experts select every item from our catalogue. Each sign serves a specific function for your business, church, school, or government agency. As a point of reference, we recommend a double-sided sign on an elevated platform for businesses on busy city streets. Why? Because it broadcasts the sign’s message to both sides of traffic, and stays well above ground-level business signs. Conversely, a stand-alone pylon with LED display is perfect for schools. This is because part of the sign permanently displays the school’s name, and the LED display showcases updates for students, parents, teachers, and the community at large. Are You Looking For An Experienced Sign Company? Call Us Today! New Style Signs has been servicing the Greater Toronto Area for over 50 years. Our knowledgeable team of experts focuses on a specific catalogue of signage products for small and medium-sized business. 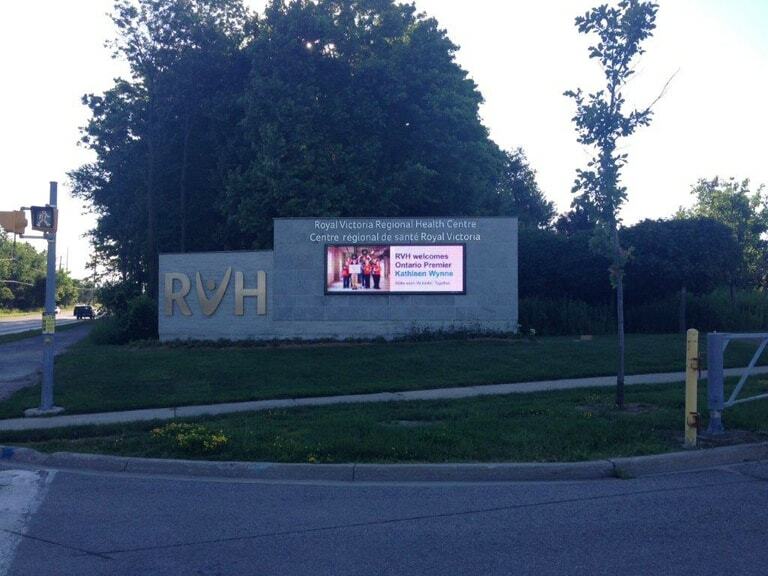 We aim to provide excellent LED signs to Mississauga schools, churches, and businesses. Call us today at (905) 363-0101 for a quote about a new LED sign for your business, or organization. You can also scroll through examples of our fine work to gather more information about our products and installation.